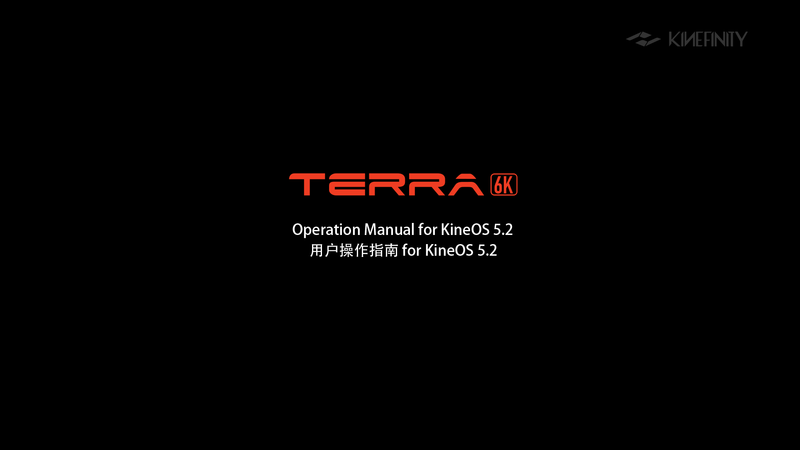 The operation manual of KineMAX 6K is for KineMAX 6K with KineOS 4.0. It introduces functions and settings of KineMAX: the basic interfaces, UI and operation, settings, Timecode, HiSpeed, KRW workflow, 3D setup etc. 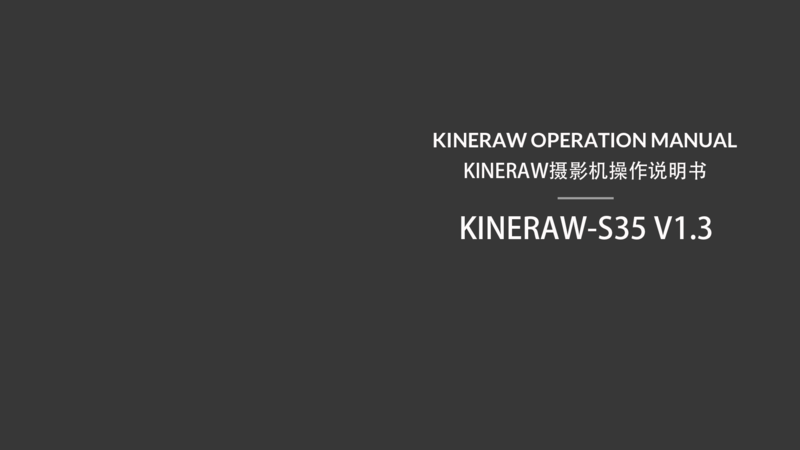 KineRAW-S35 Operation Manual V1.3 is released with Firmware of KineRAW-S35 8038. New sections are added as: Sensor framing option, Sport Mode, Quick-mo and Slow-mo, and more advanced settings on white-balance. Only in Chinese version so far.